It seems the mainstream press is finally picking up on the fact that video games are back, and in a big way. Mark Potts of The Washington Post (via the LA Times) has just wrote an excellent article detailing the rise and fall and rise again of the video game industry. He tells of the difficulty Nintendo had a few years ago trying to get retailers to carry its products. They had been burned – big time – with the previous generation of video games and were reluctant to try the sector again. With better graphics, tighter quality control, and exciting new games to play, Nintendo slowly nurtured the scorched earth back to life again. Now it’s reaping the benefits of taking a risk no one else was willing to take. Sure, Atari and Sega have jumped on the bandwagon, but it seems like it may be too little too late for those two companies. Like a swarm of Space Invaders zooming into battle from a forgotten galaxy, the home video-game industry suddenly has come back to life–just two years after it appeared to have been zapped out of existence. Led by Nintendo of America Inc., an aggressive Japanese company that has come from nowhere to grab three-quarters of the U.S. video-game market, the industry expects $825 million in U.S. sales this year, and some optimists think a $2-billion year is just around the corner. That could put the industry within striking distance of its $3-billion sales mark of 1982, set before the bottom dropped out and sales plummeted to $100 million in 1985. Video games are expected to be a big-ticket item this Christmas, at prices of $100 to $150 for consoles and $20 to $40 for game cartridges. At the recent Consumer Electronics Show in Chicago, the booths sponsored by video-game makers were hot spots, as dozens of people crowded around banks of television screens to play the latest games–many of which are light years removed from the simple Space Invaders and Pac-Man games of a few years ago. “The category never really died; the enthusiasm went away,” said Robert Harris, vice president of marketing and advertising at Sega of America Inc., another company riding the new video-game boom. Industry executives said the revival is being fueled by factors such as improvements in technology, making possible more complicated and interesting home video games; high-quality graphics and animation, and a new wave of potential customers–both children and adults. There also is more controlled growth in the industry, which basically consists of only three companies, rather than the dozens that jumped in during the first video-game boom in the early 1980s. 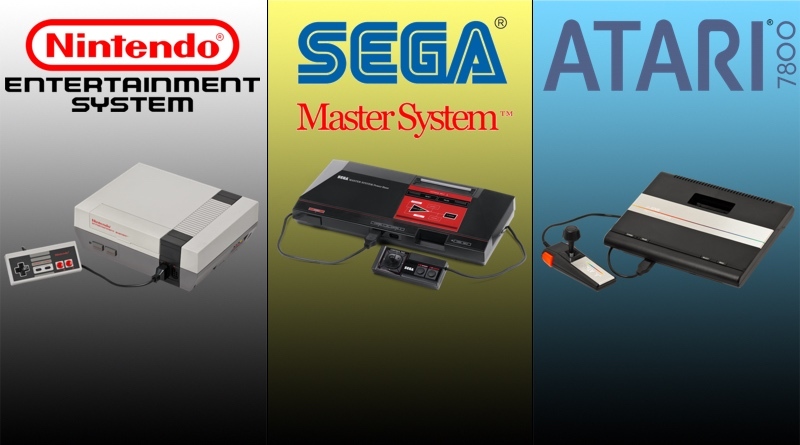 In addition to Nintendo and Sega, the other major player is none other than Atari Corp., which ignited the first video-game boom and rode it to $2 billion in annual sales before thudding to earth with the rest of the industry. Under new ownership, Atari had been concentrating on building a name for itself as a computer company–only to find its old business reviving. Anyone familiar with the slow-moving stick figures of the first generation of video games would be astounded at what the new games can do. Graphics are crisp, clear and fast moving, closely resembling those found on coin-operated arcade games. Nintendo, for instance, has an auto-racing game in which a player drives at high speeds through richly detailed scenes that depict the desert, San Francisco and ancient Greece, meanwhile dodging other cars and road hazards. Atari has managed to squeeze onto a game cartridge a detailed version of the long-popular computer game Flight Simulator, complete with graphics showing the ground as seen from the air. Other games incorporate fantasy role-playing and other tricks that make them difficult for even the most experienced player to beat quickly–a frequent complaint about the older games. And the games are controlled by more than the tacky joy stick of yore. Gunlike wands using light pulses to control the action on the screen are now standard equipment. And Nintendo has introduced an advanced version of the joy stick, with controls such as a button putting a game into slow-motion, giving the player a fighting chance. Nintendo, which is credited with single-handedly reviving the industry, is the biggest winner in this resurgence. The company expects to sell $650 million worth of video-game equipment in the United States this year, paralleling its success in Japan, where it controls more than 90% of the home video-game market. Nintendo is a 98-year-old toy company that got into home video games too late for the first boom. But as the U.S. industry was collapsing in 1983, Nintendo was introducing the first home video games to the Japanese market, where they were hugely successful. Based on that experience and its success in the United States selling coin-operated video-arcade games–an industry that slumped but didn’t die along with home games–Nintendo entered the U.S. market two years ago. At that time, there wasn’t much of a U.S. home video-game market to enter. Consumers appeared bored with shooting spaceships out of the sky or chasing cartoon figures around mazes. Most of the big video-game companies had shut down or gotten out of the business, and retailers were shoving excess video-game inventory out the door at bargain prices. “The quality was poor, and the quantity was way too high, and the whole deck of cards collapsed,” Judy, vice president for marketing at Nintendo, said. Like others in the industry, he said the inability of the original video-game companies to develop games that went beyond the basic shoot-’em-up variety played a major part in the demise of the market. Nintendo undertook the challenge, using advances in electronics technology to provide players with much better graphics and action. The company also threw in some other gimmicks–such as a “Robotic Operating Buddy,” a 10-inch robot whose movements react to the game action. Nintendo began test-marketing the games in the New York area two years ago and had an immediate hit, selling 100,000 games in the last three months of 1985. One of the company’s biggest problems was to persuade retailers, burned badly by the first video-game boom and bust, to carry the new generation of games. Nintendo guaranteed to take back any unsold games and mounted an advertising blitz, Judy said, but “even then, we had a hard time convincing some retailers. They said, ‘The only reason I’m sitting in this chair is because the guy before me was fired because of video games.’ ” However, he said, the rapid sales pace changed a lot of minds. It also attracted other companies into the market, such as Atari and Sega, which, until a year ago, made only coin-operated video games. Although Nintendo dwarfs its competitors, the smaller companies praise Nintendo for opening up the market. To keep the boom going, the companies are trying to come up with better and better games. All three companies were showing 3-D video games at the Consumer Electronics Show, and there were individual innovations: Sega has licensed the popular board game Monopoly for conversion into a video game, and Nintendo has complex role-playing games that resemble advanced computer games. The companies also are broadening the appeal of their products to make the games more than just kid stuff. Nintendo, which claims a broad demographic spread in the Japanese market, is offering fitness-oriented games for adults and even working on a knitting simulation. “We still feel it’s family entertainment, so we can’t just come out with games that appeal to this hard-core group of males seven to 15 years old,” Judy said. The obvious question is, however, whether the new video-game boom will prove as short-lived as the first one. Those in the industry cautiously predict that video games will have staying power this time around. Nintendo cites consumer-satisfaction surveys that show–so far, at least–that the new generation of computer games is not winding up in the toy closet after a few play sessions. Still, industry officials say the key will be continued innovations in software and carefully planned growth.